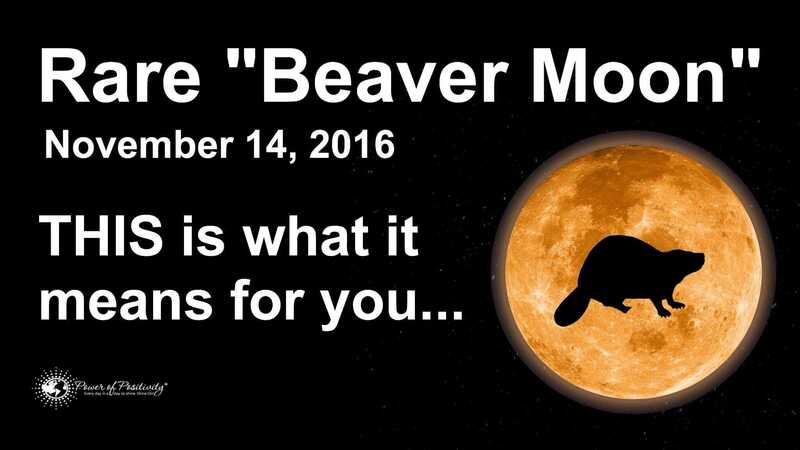 Prepare For A Huge Energy Shift On November 14th - RARE "Beaver Moon"
Those that appreciate a beautiful night sky will be in for a treat. On November 14, the moon will be in the closest proximity to Earth in 70 years. In being so close, it will provide some delightful visuals for stargazers and non-stargazers, alike. Unfortunately, there will not be any large rodents crawling on the moon’s surface. The Moon’s orbit path around the Earth is elliptical, and one side of the orbit’s path (called “perigee”) is closer than the other by about 30,000 miles (50,000 kilometers). 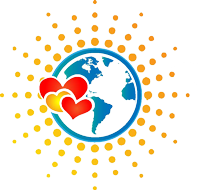 On the shorter path, the Earth, Sun and Moon align in what is called “syzygy” in astrological terms. The end result is a “perigee” moon, or in common parlance, a supermoon. Or, as NASA cheekily refers to as “an extra-super moon.” An “extra-super supermoon” materializes when the moon becomes full on the same days as its perigee, or when the moon’s orbit is at its closes to the Earth’s surface. A “supermoon” is actually a term derived from modern-day astrology. This terminology received popular attention in recent years as moon sightings became more and more spectacular. Furthermore, the science around the phenomenon was more widely disseminated…putting more souls into the “stargazer” camp. Also called a perigee full moon, a supermoon can be up to 14% bigger than a full moon. Adding to the spectacle, a supermoon may be 30% brighter than a regular (or apogee) full moon. The clearer that the sky, the more visually stunning this moon will be. An overcast will slightly dim this beaming moon, but it will still be spectacular. That said, please let the sky be clear! In addition to the scientific rationale for the supermoon, the history surrounding the Beaver supermoon makes the occurrence all the more special. Following the date – November 14, 2016 – the moon will not get closer to the Earth for another 28 years. Around this date, November 12th, the Taurids Meteor Shower will also take place. This meteor shower occurs once a year, and are a visual feast as well. According to Weather.com, the meteors “as remnants left behind by the passage of the Comet known as 2P/Encke.” About 10 to 15 balls of flame (literally) streak across the sky each hour. A supermoon will appear one more time in 2016 – on December 14. Make sure to mark your calendars! According to experts, the moon will become full on November 14 at 8:52 EST in the U.S. and 1:52 pm UTC, internationally. Those that wish to see the supermoon in the North America and Europe will probably get the best view on the evenings of November 13th and 14th. Related article: How Does The Moon Affect Your Zodiac Sign? On the West Coast of US, those that rise early will probably be able to witness the moon at its fullest around 5:52 am PST; about 28 minutes before the sun rises. Readers and sky gazers in Asia will be happy to hear that they will likely observe the moon at its absolute fullest. The anticipated time is 9:52 pm Hong Kong Time, 7:22 pm in India. Even if you’re not a huge fan of stargazing, sky gazing, call if what you will…this is a once-in-a-lifetime chance to see the moon in all of its glory. To witness history. And if what NASA and other scientists say is true, the privilege of seeing this beautiful moon may just make lovers of the sky out of us all. The National Aeronautics and Space Administration (2016) 2016 Ends With Three Supermoons (2016) Available at: https://science.nasa.gov/news-articles/2016-ends-with-three-supermoons (Accessed: 9 November 2016). Wright, P. (2016) November’s ‘beaver’ Supermoon will be the biggest in almost 70 years. Available at: https://weather.com/science/space/news/november-beaver-super-moon (Accessed: 9 November 2016).